A classic tangy and salty hard candy sucker. 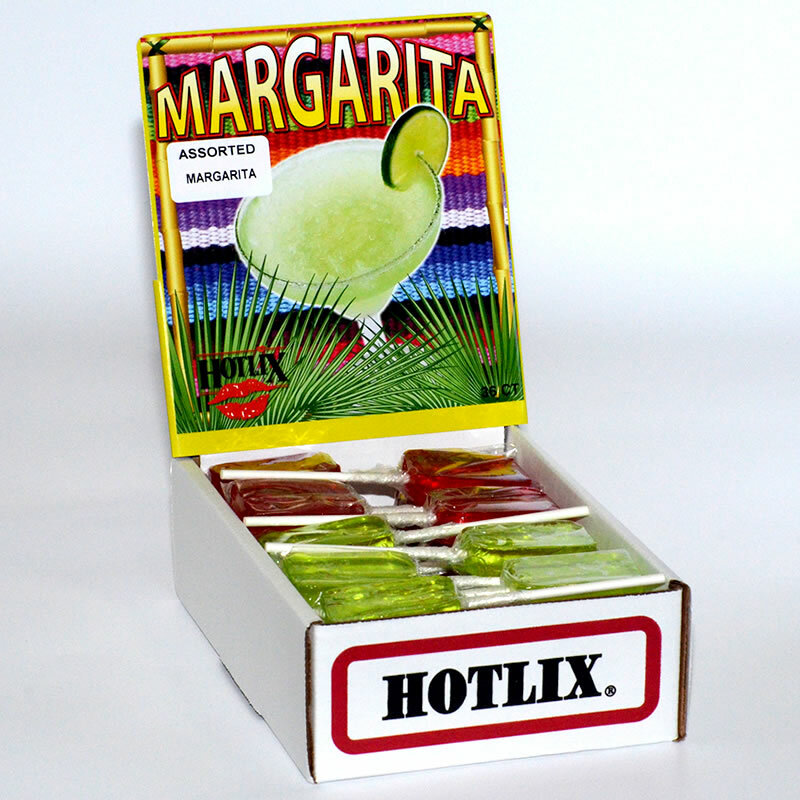 Offered in two flavors: original margarita with salt or strawberry margarita. Available in individual boxes of each flavor or an assorted 36 count box.